Small Business Advocate Poll: Are we wishing our lives away? 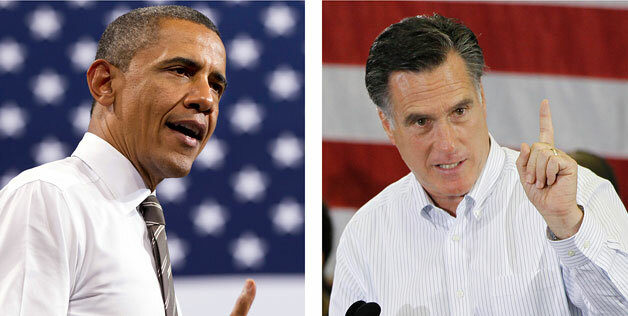 How much do you think the economy is being affected by businesses and consumers waiting to see who the next president is? Just as it seemed we might be getting some wind under the wings of this economy, it looks like it’s starting to lose altitude. Of course, there are many reasons, including high energy prices, high unemployment, loss of confidence in big banks, and the crisis in the Eurozone, just to name a few. 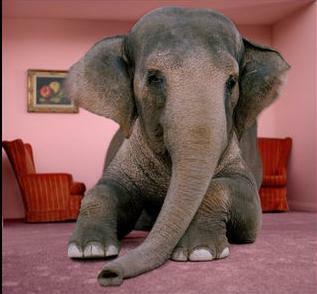 But the elephant in economic recovery’s living room is presidential politics. Never in my life - not even when Carter ran for reelection in 1980 - has there been such anxiety about who was going to be the next president. We wanted to know just how big this issue was, so last week we asked you this question: “How much do you think the economy is being affected by businesses and consumers waiting to see who the next president is?” Here’s what you said. A long time ago I made the decision not to wish my life away, so I don’t want to start now. But I’m afraid my vote on this one goes with the majority. I’m ready to get this election over. I talked about the economy and how it is affecting buying decisions by businesses and consumers on my radio show, The Small Business Advocate. Click here to download or listen. After the technical end of the Great Recession in the summer of 2009, I predicted the letter that would most accurately describe this recovery is not a “U,” an “L” or even a “W,” but rather, an “M” – for marathon. After working in six previous recessions, to me everything pointed to a very long and grinding economic period. Alas, my prediction has come to pass. Seven quarters into the not-so-great recovery, GDP for Q1 2011 came in at only 1.8%, which caused economists, who had earlier projected 2011 growth of at least 3% for the year, to lower their expectations. We wanted to know what our small business audience thought about the economy, so for the third time in a year we used our online survey to ask, “What does the economy look like for your small business for 2011?” Here are the three options, with each response followed by how similar questions were answered previously. Those who said, “We’re experiencing solid growth and expect the same through 2011,” represented 14% of respondents. In the previous survey, 29% were this optimistic. The next choice, “Our growth is similar to the national trend – up, but barely,” was chosen by 40% of our sample, which is very close to the 43% choosing a similar option in the previous survey. Unfortunately, 46% of our respondents said, “It still feels like a recession,” which is up from 28% making this choice in the previous poll. Our survey, while unscientific, is supported by others that are: The NFIB small business survey indicated optimism declined again in April, and the Tatum, LLC survey has been reporting more red arrows than green ones all year. Clearly, overall small business economic sentiment has eroded. • Giving every customer the maximum opportunity to do business with you while serving that customer with maximum efficiency. • Combining your service “special sauce” with every technological innovation you can find. • Keeping your team motivated and inspired while running the most deliberate, disciplined and methodical business marathon of your life. • Believing that it’s okay to fall in love with what you do, but not with how you do it. Remember the ten most powerful two-letter words: If it is to be, it is up to me. Recently on my radio program, The Small Business Advocate Show, I talked more about how small businesses feel about this marathon recovery. Take a few minutes to listen and leave your comments on the recovery. The Question: What is the likelihood that you will hire at least one person this year? 50% - We will definitely be hiring this year. 22% - If the economy improves we will have to hire. 28% - We will not be adding any employees this year. America needs new jobs. We wanted to check on the hiring attitude of our small business audience, so we asked this question: “What is the likelihood that you will hire at least one person this year?” The news was encouraging. Fully half of our respondents said, “We will definitely be hiring this year.” America needs more CEOs drinking this Kool-Aid. A little over one in five of our sample said, “If the economy improves we will have to hire.” Perhaps the employment leadership of the first group will encourage these folks in the middle to find hiring confidence. Considering where unemployment is, plus all the other headwinds pushing back on economic recovery, I am encouraged by the response this week. You go, small business owners. America - and the world - really needs you right now. To participate in this weeks poll on mobile phones, click here. What are your success plans for 2011? Now that 2010 has switched around from the windshield of our business to the rear-view mirror, let’s take stock of what the year hath wrought. As my friend and the world’s leading expert on business planning, Tim Berry, would say, “Plan vs actual;” compare what you thought you would do – your plan – with what happened. Your plan could have been as simple as “I plan to survive 2010.” If you’re still in business, congratulations. Or, anticipating limited revenue growth, you may have projected increased profits through expense cuts and finding efficiencies. How’d you do? Many small businesses are still trying to shake the negative effects of the Great Recession, including 21% who said they were barely able to eke out a better 2010 than 2009. Sadly, a few more, 26%, reported they had yet to experience signs of a recovery. But a little more than half of our respondents were positive about 2010, with four-of-ten saying they had a good year and 12% actually reporting a record year. If you’re among those still struggling, here’s an idea: Identify a peer in your industry who is doing better than you and find out what they know, are doing, or what they have that you don’t. It’s times like these when being part of an industry trade group community turns any associated expense into an investment. And if admitting out loud that you don’t have all the answers is uncomfortable, remember the lesson from Proverbs 16:18, “Pride goeth before destruction…” They don’t call it “wisdom literature” for nothing. Tough love alert! As we stand here at this moment, more than 18 months following the technical end of the Great Recession, every day without positive performance by your business puts the cause farther from the external and closer to internal. “Internal” means the effectiveness of your organization, product array, marketing plan, etc., and especially the CEO’s performance - that’s you. If you’re among the last two groups who were more successful in 2010, congratulations; you’re doing something right. But don’t rest on your laurels or unbuckle your seat belt. There are still plenty of marketplace mines in the macro-economy you could step on. Remember the letter I have used to describe this recovery: M, for marathon. This recovery race requires disipline, planning and incremental execution - one deliberate step at a time. You can do it! For almost two years politicians on both sides of the aisle have been saying that one of the big problems with the economy is that small businesses can’t get loans from banks. For that same period I’ve asked small business owners - and independent community bankers - on my radio program why more loans aren’t being made, and their answers have been consistent: Small banks have money to lend, but small business owners are not asking for loans. Since the Obama Administration’s most recent attempt to tweak economic recovery is about making more money available to small banks so they will make more small business loans, last week we asked our small business Newsletter subscribers and website visitors what they thought about this. More than 80% said they either could borrow money from a bank if they needed it, or wouldn’t borrow money from a bank even if it were easier. Only 16% said getting a loan would help them now. Sadly, we continue to see how disconnected many of the political class are from the real concerns of the sector that produces over half of the U.S. GDP and employs over half of all American workers. Small business owners aren’t going to take risks - which is what getting a business loan is all about - as long as they’re uncertain about the future: the future of taxes, the future of health care expense, the future of energy costs, the future of union influence, etc., etc. Mr. President, if you really want to know what small businesses need, you should do what I do - ask them. Thank you for being part of my community. I’ll see you on the radio, and on the Internet. To participate in next week’s poll question, visit www.smallbusinessadvocate.com and vote.